The White – Maine population data represent DNA samples from 349 unrelated Caucasian (White American) residents of Maine. 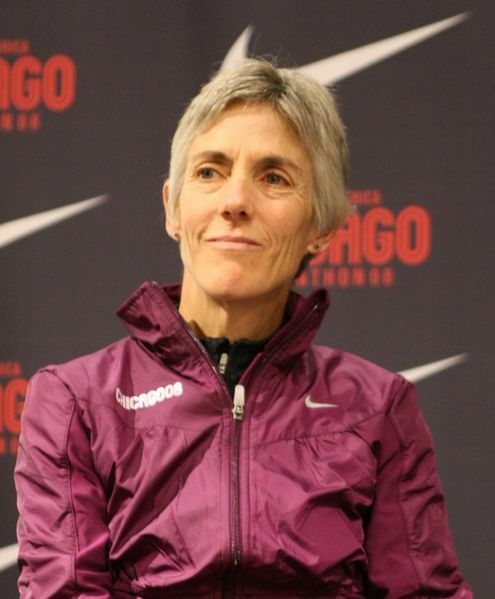 Joan Benoit (born May 16, 1957) is an American marathon runner of Maine Scandinavian and French ancestry, who won gold at the 1984 Summer Olympics in Los Angeles, the year that the women’s marathon was introduced. Samples were provided by the Maine State Police Crime Laboratory, the Forensic Science Research and Training Center for the Federal Bureau of Investigation (FBI) Laboratory and the FBI Academy. For more details on this population. Photo: Joan Benoit in 2008, by Goyk. Wikimedia Commons.